When you arrive at Deer Valley Resort, you see where the notion of first-class service and skiing are fused. A couple generations ago, people expected a rustic experience when they went skiing: cafeteria food, camp-like lodging, and a little bit of roughing it. That was part of the package. For the first decades of this resort’s existence as its former incarnation (Snow Park Resort, which was founded in the ’40s), it was a little more "wild west," in keeping with the area’s mining-fueled way of life. Two handy locals built a couple of lifts from lodgepole pines and repurposed truck engines. A flurry of interest arose among Park City and Salt Lake residents, but soon after, the mining industry crashed as silver prices dove too low to sustain the local economy. As everyone connected to mining left the town around 1950, the town faced a real crisis. A few intrepid souls remained and committed to turn the area into a ski town, and thus Snow Park ski area and Treasure Mountain ski area (today’s Deer Valley and Park City Mountain resorts) pressed onward and doubled down on their investment in chairlifts and ski lodges. In 1981, a new era for Deer Valley was born—in the form of a visionary new owner with an unheard-of idea. Edgar Stern purchased the old Snow Park area determined to move past the old notion of a ski area being bare-bones. He dreamed of a real resort, with gourmet food, uniformed employees, ski valets, on-site childcare, and plush lodges. 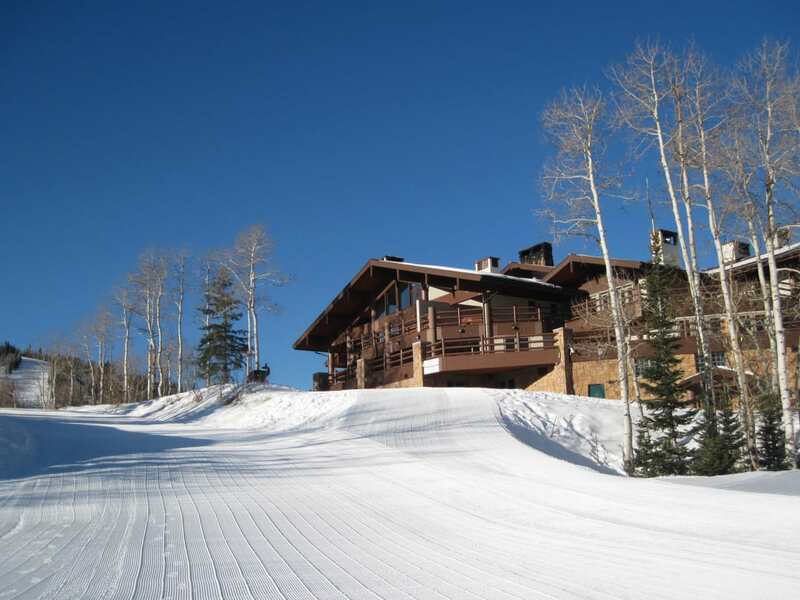 The resort was a hit, resonating with people who wanted great Utah-grade skiing without having to rough it. Deer Valley became its own phenomenon, winning award after award from ski and travel magazines. A few decades later, the same fixation on top-shelf service continues at Deer Valley—sweaty, soggy skiers duck into lodges for a restorative lunch of magazine-worthy cuisine served by thoughtful people. Of course, the resort is quite a bit bigger than its two original lodgepole lifts. You’ve now got 21 lifts to choose from, spanning more than 2,000 acres of skiable terrain. As they take the guest experience so seriously, they limit ticket sales each day to make sure everyone has lots of breathing room to commune with nature. Advanced skiers can ride up the Empire lift to top out at 9,570 feet and shred some of the mountain’s more steep and lofty slopes. 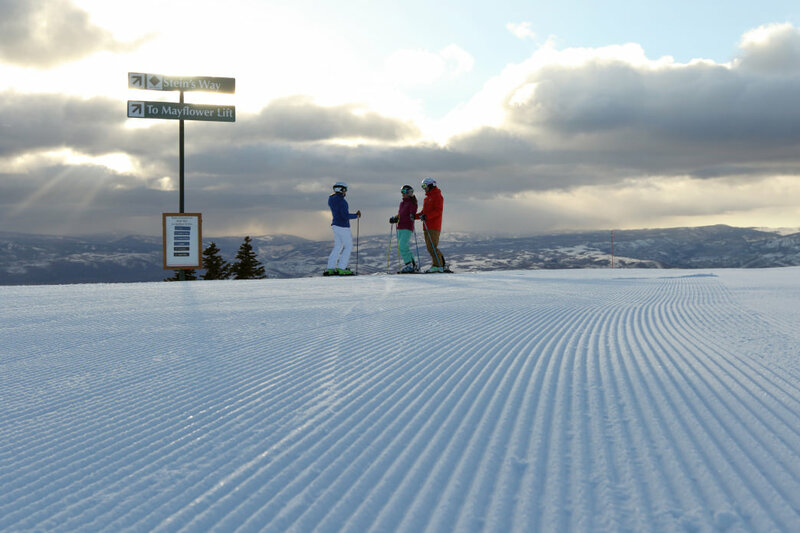 Beginners can tool around the impeccably groomed runs of Bald Eagle Mountain and Flagstaff Mountain. Every so often, you come upon a cute little group of ski school kiddos playing games as they practice their parallel turns. The place feels idyllic and is quite an evolution from its wild-west roots. 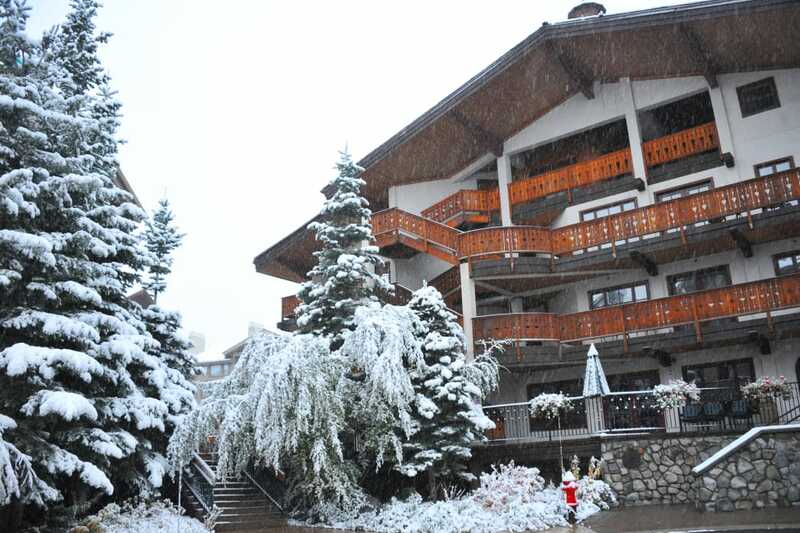 The base areas boast some of the finest hotels you’ll ever come across—frequented by celebrities and wealthy guests who seek a sumptuous alpine experience. There is, for instance, a ski-in/ski-out champagne yurt. You can duck in for a divine small-plate snack and glass of French bubbly. And in keeping with Deer Valley’s focus on hospitality, you needn’t be staying at the finest hotels to enjoy the champagne yurt, sledding, sleigh rides, or other delights. 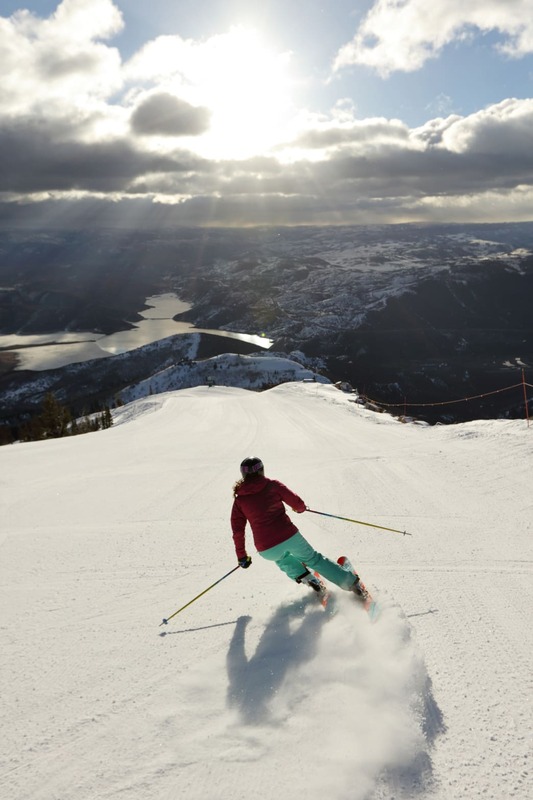 Wherever you ski on the mountain, make sure you save your appetite for both lunch and dinner. 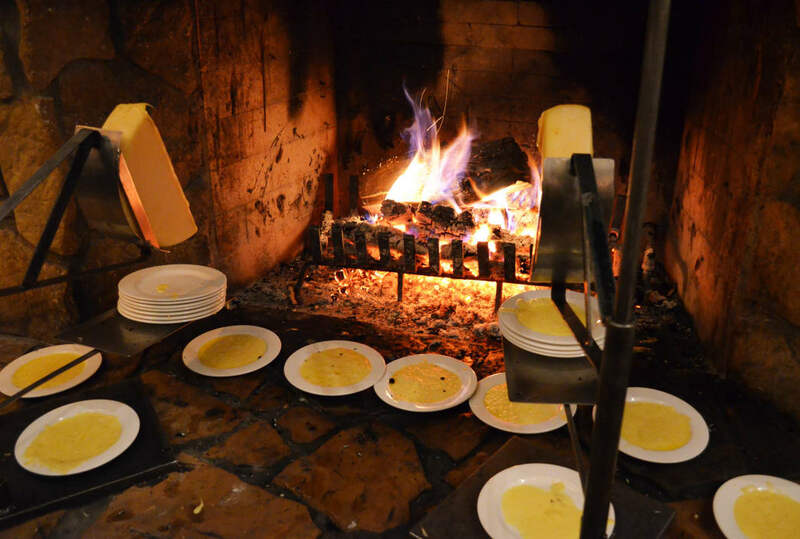 Deer Valley made a name for itself as one of the first resorts to offer gourmet cuisine to skiers, and they continue that tradition with a full staff of superb chefs and fine-dining experts. A few must-haves include the turkey chili (the resort kitchen’s specialty) and a fresh-baked cookie lovingly crafted by slopeside pastry chefs. For dinner, the Seafood Buffet at the Snow Park lodge attracts diners from as far away as Salt Lake. It’s exactly what you’d hope—a sumptuous buffet of every kind of freshly flown-in seafood imaginable. Served with excellent wine and decadent desserts. Ski a long day to earn the calories, then throw caution to the wind. If you’re fortunate to stay the night, you can choose from a tremendous variety of lodging options on the mountain and at its base. Whether you rent a gorgeous chateau for your whole family or choose a base-area condo, you can expect staff who work around the clock to find ways to make your trip special. It’s actually part of the lodging staff’s job descriptions: find something to celebrate, some creature-comfort to offer, some perfect recommendation for dining or entertainment. Add something of unexpected and delightful value. And when you have an entire mountain of staff dedicated to that very thing, you may never want to leave. 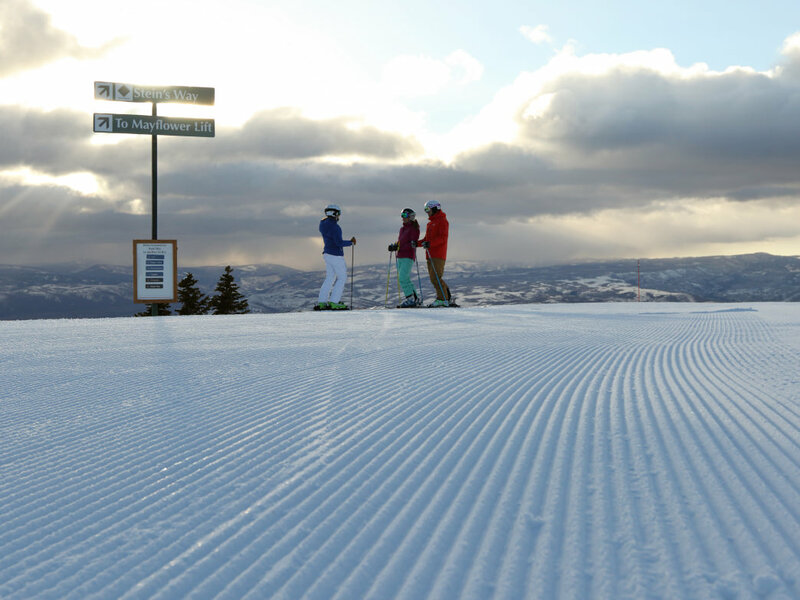 Written by RootsRated for Visit Park City.